Alexey Poltoranin of Kazakhstan has won his second 15 km classic competition of the season and his career 7th victory in that event. 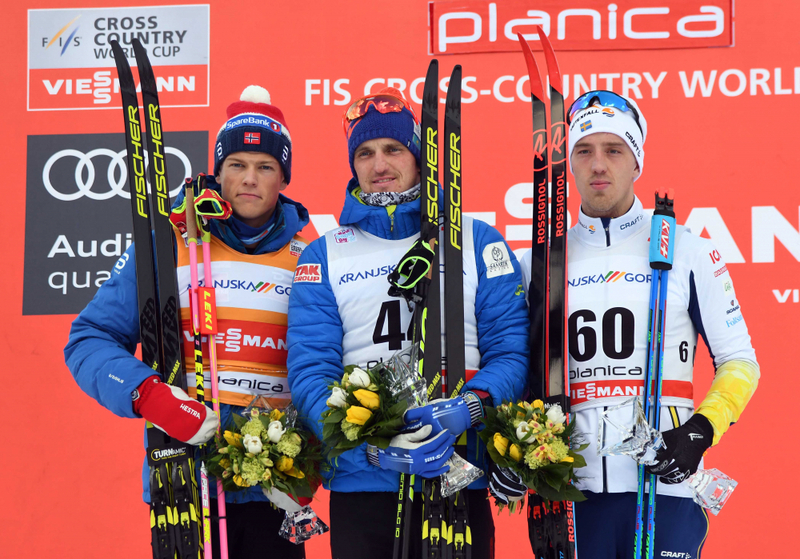 With his win today he ties the legendary Gunde Svan of Sweden for the most wins (7) in the 15 km classic competition. He previously won this season in Val di Fiemme during the Tour de Ski in 6 January 2018. In second place was Overall World Cup leader Johannes Hoesflot Klaeboof Norway +13.2 second back. In third place was Sweden's Calle Halfvarsson +42.8. It was Halfvarsson's first World Cup podium this season. I am really happy to win. This is a good course for me and I had very good skis and want to say thank you to my service team. It was a very hard course. I had great skis on the downhills but was a bit light for kick on the climbs. Polto was so fast from 12 km and I couldn't match his pace. This result feels really good today. When you go so long without a good result you start to doubt yourself. With my fall yesterday I didn't get to see how it would go in the sprint but I am very happy with today's result and how I felt.